In today’s digital economy, enterprises struggle to cost-effectively deploy customer-facing, edge-based applications with predictable performance, high uptime and reliability. 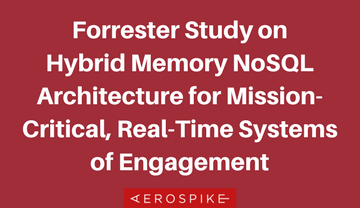 A new, hybrid memory architecture (HMA) has emerged to address this challenge, providing real-time transactional analytics for applications that require speed, scale and low total cost of ownership (TCO). To view this webinar please complete the form to the right.